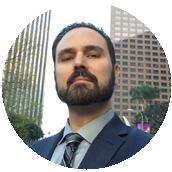 At Last Im An Expert In Something | Todd Olivas & Associates v3.0 | Court Reporting Services in Orange County, Riverside, San Bernardino, San Diego, Los Angeles, Irvine, Santa Ana, San Jose, Sacramento, Fresno, San Francisco, Bakersfield. TO&A employs no court reporters, interpreters or videographers of our own. The providers we send are fully qualified and reliable independent contractors. I submitted an article to a online ezine website and they named me an expert in the field of court reporting. Whooohooo! They liked my article, I guess, so they're going to put it on their high traffic home page later today.Check this out: http://ezinearticles.com/?expert=Todd_Olivas.